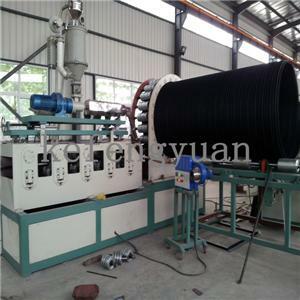 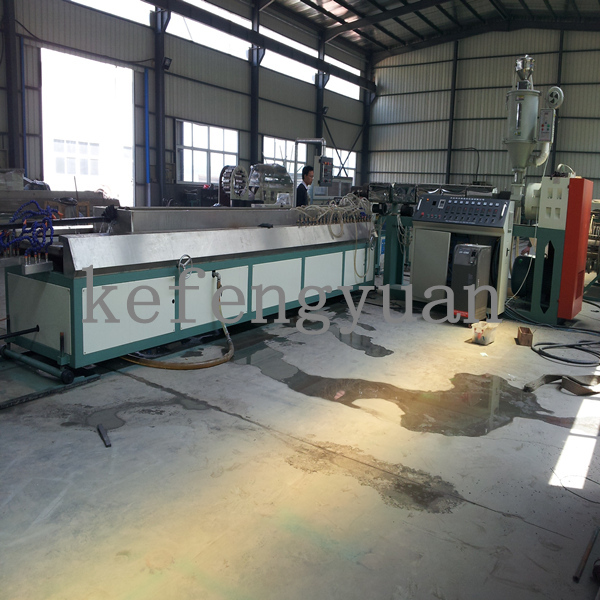 This machine is used to produce the steel reinforced pipe with steel inside. 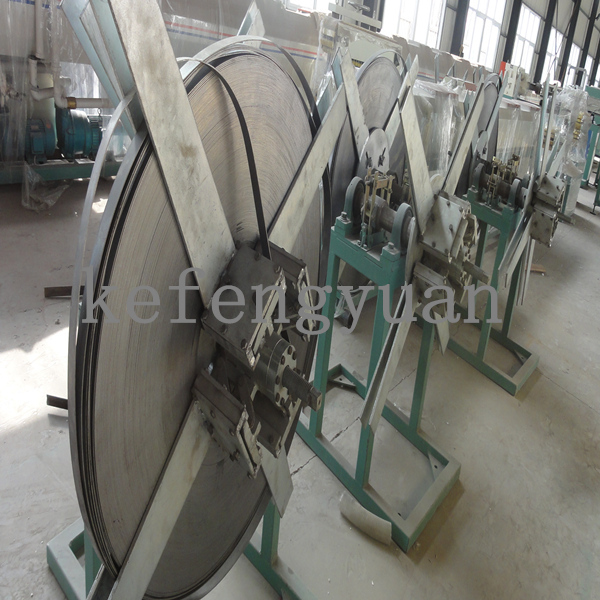 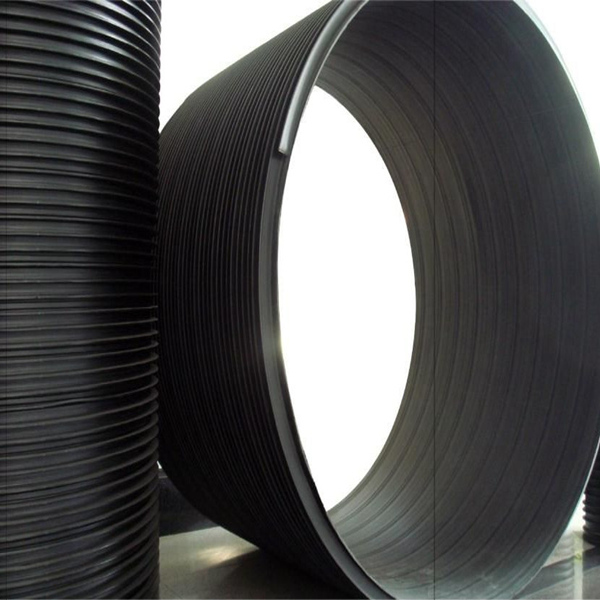 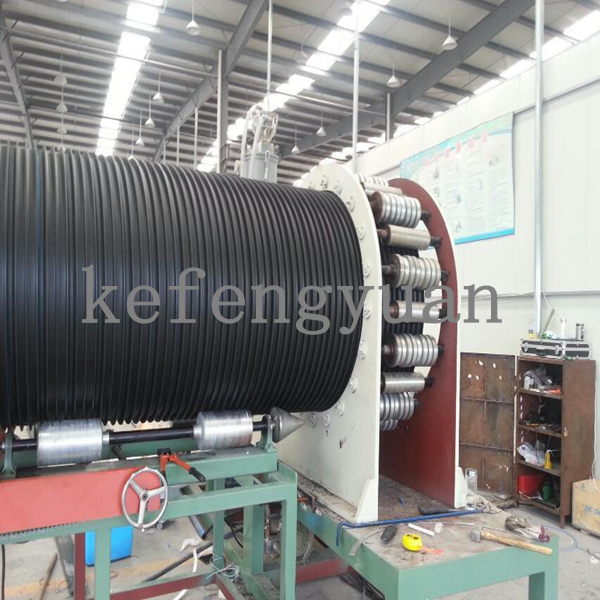 The steel coil release the steel belt, then the steel belt thread the mould and cladding with HDPE outside. 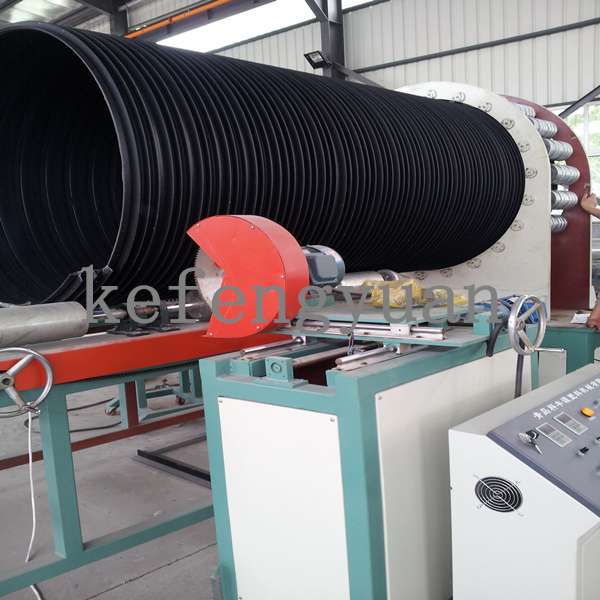 By forming cage, the clad HDPE belt will wind and form the spiral pipe with steel reinforced inside.